it’s now possible to embed the app as its own section instead of having it always shown as a widget. This was very important because the popup widget was effective for every store. For some stores, the popup was a very effective way to do upsells and cross-sells for others it simply it didn’t work well. With this update, it’s possible to switch between the two and use what works best for you. Most themes should be supported already, but in the case that your theme isn’t supported yet, I’ve made it easier for you to reach out and have our support handle it. 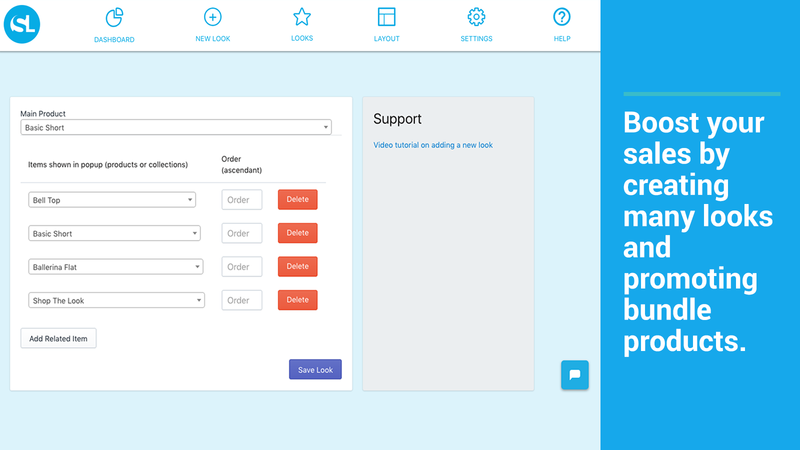 Also, in the upcoming updates, there will be more layout updates so you can pick what fits best your store. The app is on average 40% faster. Getting that sort of performance improvement was a bit tricky because of how Shopify integrates with apps. After doing lots of experiments, I’ve found that adding more caching layers improves performance a lot. I’ve also moved to a bigger server and I will invest in more hardware improvements in the near future. Those improvements took a lot of time but they were essential for making Shop The Look more useful and for preparing it for scalability. In order to make it easier and faster to have answers to your support questions, I’ve added a phone number (US), a knowledge base and a faq. Faster creation of looks – looks import: as this is one of the most used parts of Shop The Look it only makes sense to make it easier to use and allow for faster look creation so the app doesn’t get in the way and help you save time for more important tasks. More customizations design for embedding shop the look section: this will help testing out the most optimal design that works for your store. Collection page that lists all of the created looks: Listing all of the created looks automatically in a page. Integrate Shop The Look outside Product page: This will be useful if you wanted to use Shop The Look for marketing purposes outside product details page (i.e: homepage image, blog posts, etc). Those features and much more are currently under development and testing. Shop the Look is getting better and becoming a must-have app for fashion & apparel stores. My idea for the app future is to make it as useful as possible. 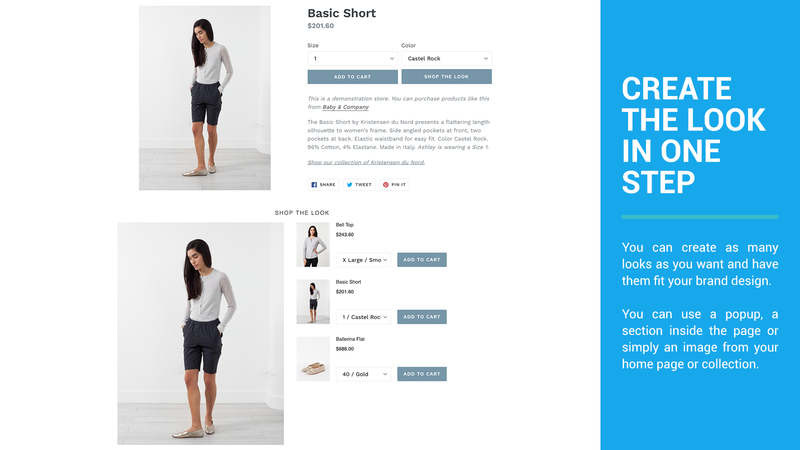 Shop The Look’s primary goal is to increase sales for merchants without getting in their way, all while helping shoppers quickly and easily shop. So far this has been an interesting challenge and I’m really excited about what’s coming next. Let me know what do you think and what are you the most excited about with the app.